I've been developing a conversation system. Conversations will take place on planets, and in your ship. Conversations are graphs, and there are different types of nodes. 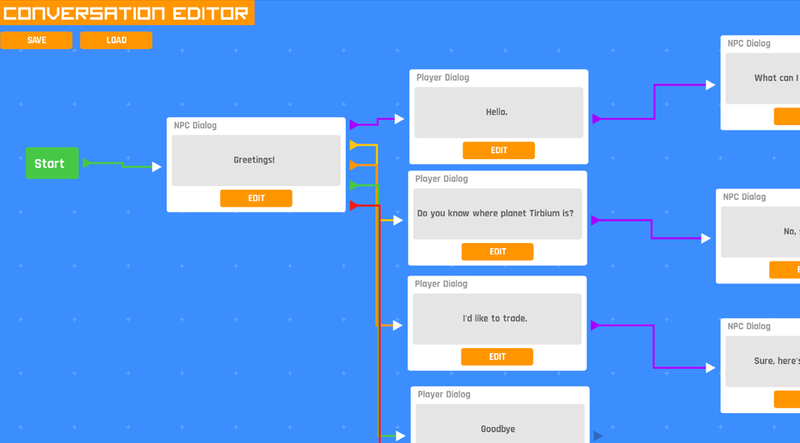 Primarily, there are NPC and Player dialog nodes, and I'm adding conditional branching, variable assignment, and a few other flow-control node types.